Noble Whittington, far right, picked up his school supplies at the Crane Elementary Open House event on Tursday, August 9. 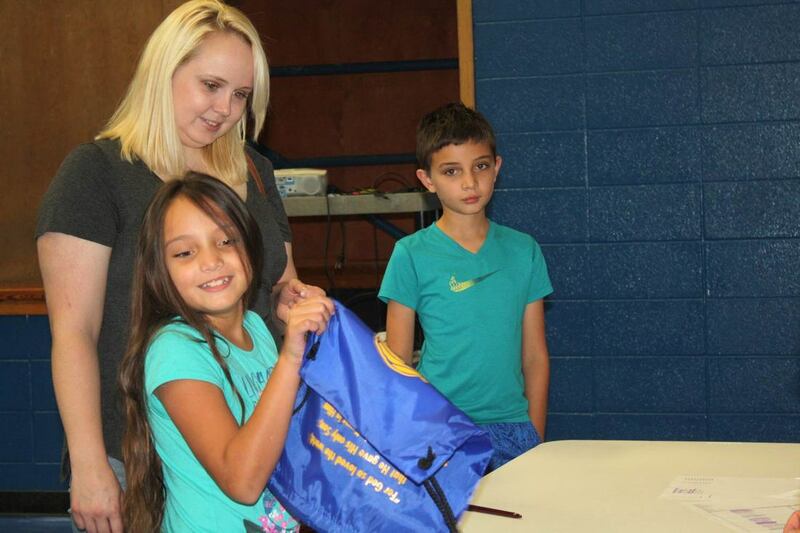 The supplies for all Pre-K through 6th graders were donated by members of the Crane Ministerial Alliance and Crane First Baptist Church. Also pictured with Noble is his brother Avery, who is starting first grade. 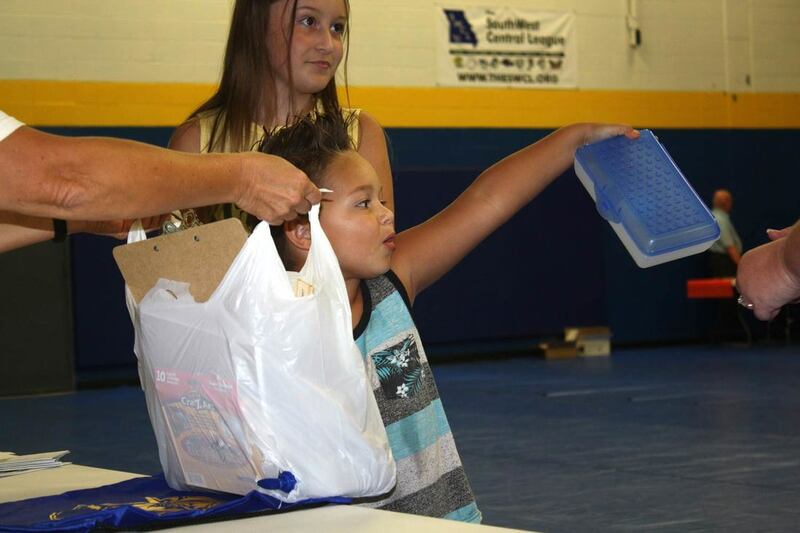 Eli Archibeque, second grade, excitedly looks through this new school supplies at the Crane Elementary open house event on Thursday, August 9. 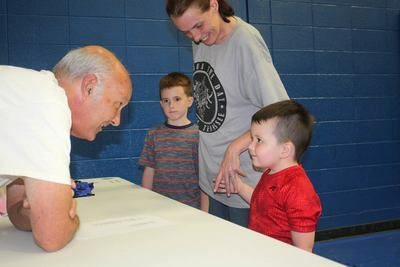 Community members handed out the school supplies. 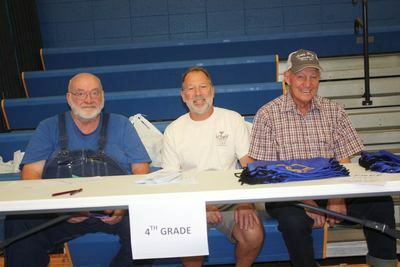 Pictured above, from left to right, Chris Keithley, Jim Newton and Bob Hodson prepare to give out fourth grade school supplies and drawstring backpacks. Alexia Jimenez, fourth grade, holds up one of the drawstring backpacks after receiving her supplies. Isaac Jimenez, fifth grade, patiently waits his turn to pick up his supplies. Tables distrubting supplies to each grade were arranged around the Crane Jr. High gym.